Do your workouts need a little boost? Try this new method for greater muscle contraction and a bigger pump! One day while training at Old School Gym, I realized my back workouts had grown stagnant. I was bored with rowing movements. After watching lifters throw around heavy dumbbells on single-arm-bent-over-rows with little control at the top, an idea came to me: I decided to perform a "hold" at the top of each rep. I timed each hold to the number of the rep-one second for the first rep, two for the second rep, and so on. I did my next set of one-arm rows, holding and counting at the top of each rep. By the twelfth rep, I was holding for 12 seconds! My back was engorged with a crazy amount of blood. My Rep-Hold Method was born. I loved the incredible pump from my back workout, so I decided to use the same concept as a burnout on triceps press-downs. Again, I was amazed at the results. 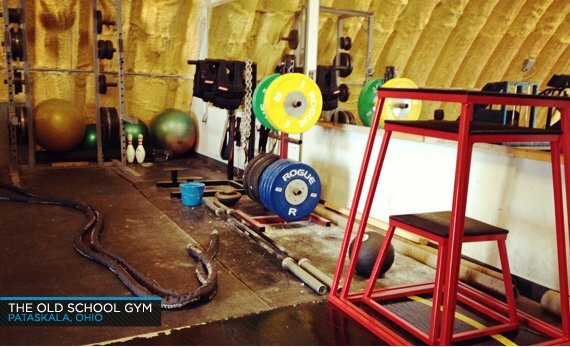 The increased time under tension (TUT) dramatically increased the payoff from each rep. Many top bodybuilders, including four-time Mr. Olympia Jay Cutler, have placed an emphasis on squeezing the muscle at the completion of a rep. Arnold recommended this type of method with his "Peak Contraction" technique. 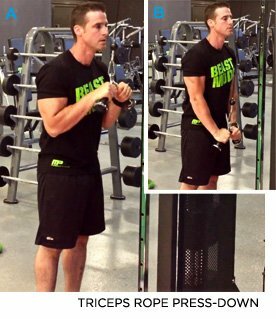 The Rep-Hold Method is also similar to the Iso-Tension Weider principle, which involves flexing and holding muscles-posing, basically-for 6-10 seconds between sets. Tension, in this case, refers to the act of flexing or squeezing your muscles harder during the hold in your movements. Doing so tells your muscles to recruit more motor units. These motor units cause the nervous system and the muscle groups to work together, contracting more total muscle fibers. The harder and longer you squeeze, the more muscle fibers you recruit! 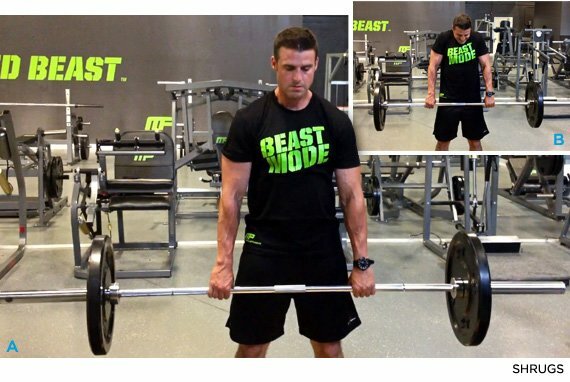 This method also drastically increases the total time under tension of your sets. Total time under tension is the product of your lifting cadence and total reps. For example, your average gym-goer might be using a 1-0-1-0 cadence during a biceps curl: She lowers the weight over one second, doesn't pause at the bottom, raises the weight in one second, and then immediately goes into the next repetition. This means that each repetition will take two seconds, and a set of 10 will take approximately 20 seconds to complete. 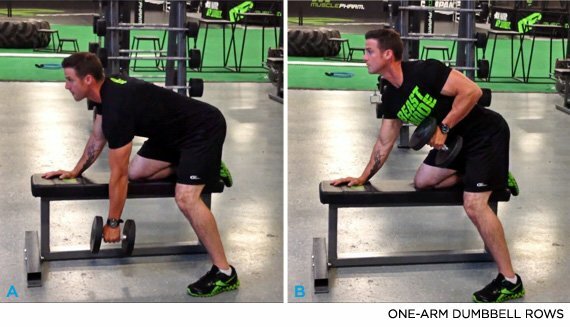 The Rep-Hold Method will extend that same set for a much longer period. Even if we use the same speed as our example lifter, but pause at the peak contraction, we end up doing nearly four times more work. We still have those 20 seconds of tension generated from raising and lowering the weight, but we also add 55 seconds by squeezing at the top for those ten repetitions. This extra work makes our set last 75 seconds! Studies have demonstrated that an increase in time under tension leads to increases in protein synthesis. You know what that means: bigger muscles! When compared to lifters who performed their movements rapidly, those who extended set duration by pausing and lifting slowly had better responses in muscular hypertrophy. If you want to increase your time under tension, alter your training method. First, reduce your payload. Heavy training can be good sometimes, but if your focus is on physique, other training methods can help you improve. Second, on certain free-weight exercises like flyes or curls, you may be better off stopping just short of the final position. Holding at the top of a biceps curl isn't going to do much because that position reduces tension on the muscle. Stop short and hold tight. The Rep-Hold Method will rush some serious blood into your muscles, sparking growth and increasing endurance. Your body will be forced to adapt and grow. I like to combine Rep-Hold with my 28-Method for a fun—but extremely taxing—day at the gym.